Amantys Power Electronics is combining the world of power electronics with advanced digital and software technology to improve the availability, cost and efficiency of high power systems. 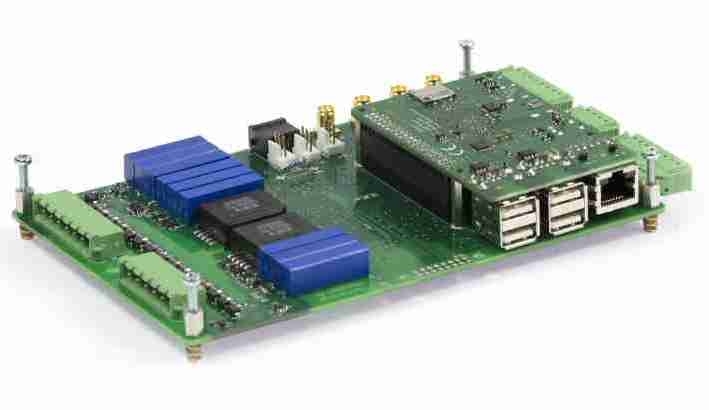 Amantys is pleased to announce the release of the Evaluation Board for our landmark Junction Temperature Estimation technology. This sophisticated measurement system allows customers to capture detailed measurements of device operation in the inverter stack, and track the estimated junction temperatures during converter operation. It is designed to be retro-fitted to a single phase leg (half-bridge) in an existing inverter stack, and works with any gate drive. Using this, customers can benchmark the estimated junction temperatures with either their own measurements or online temperature models. Next Generation Power Stack Technology comprises three key technology strands: Junction Temperature (Tj) Estimation, Switchable Gate Resistance (Rg) and Power Insight. Together, these can deliver significant benefits to the whole converter, allowing designers to unlock latent potential in the converter and improve performance, cost and availability. Junction temperature (Tj) estimation is revolutionary technology from Amantys, using inherent IGBT and diode temperature sensitivity, measured in the gate drive, to estimate the on-chip junction temperature. The resulting benefit to the converter manufacturer is improved performance (rating or efficiency), for the same capital cost, through the reduction of design margins. Benefits to the end user include the early detection of abnormal operation and potentially reduced operating costs. 15th March 2019, Amantys Power Electronics will be exhibiting at PCIM Europe in Nurmeburg from the 7th to the 9th of May 2019. Come and see us in Hall 9 Stand 151. 15th March 2019, Amantys Power Electronics is hiring a Senior Electronics Engineer with experience of PCB design and layout to work in a small team in Cambridge, UK. Please refer to the job description for further information. 5th Sept 2018, Amantys Power Electronics exhibited at Innotrans 2018 in Berlin. Amantys showed solutions for the Next Generation Power Stack and traction retrofit. We also showed gate drives to support Next Generation IGBT modules (nHPD2, LinPack, XHP). ©Copyright Amantys Power Electronics Ltd.